You may think people who seek products online also make their purchases online, but nothing could be further from the truth. 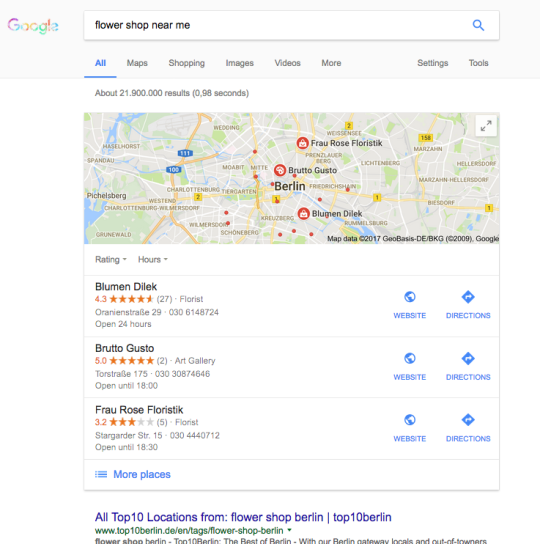 80% of consumers make online searches for businesses in their local area with online reviews having a significant impact on purchase decisions for 58%. At Uberall, we want to use our Location Marketing Cloud to ensure that consumers who are searching for your products also find their way into your branches. We’re all very familiar with the traditional customer journey model: a consumer has a need and makes inquiries to find a solution. They consult the Yellow Pages, ask friends or even inquire directly in shopping streets and visit different stores. They collect information and visit more outlets before they finally make a purchase and then go on to recommend the provider to their circle of friends. Business enterprises and chain store operators have aligned their communication strategies with this customer behavior model, opting for traditional advertising on TV, radio, in print or using outdoor advertising formats. Customer behavior has certainly changed. With Internet being constantly available, research has never been easier for consumers. Transparency has created comparability where it often didn’t exist before while consumers are guided into stores with increasingly more purpose. 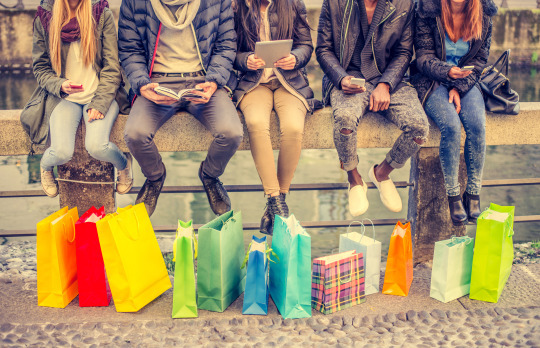 Despite all the gloomy predictions, brick-and-mortar retail is not about to die a death, as substantiated by a recently published IBM study on the purchasing habits of millenials, the generation born between 1995 and 2010. These customers and others prefer to experience a product before they buy it, no matter whether they’re looking for food, clothing, gifts or personal care products. But they are used to finding answers to their questions online. That’s why we’d like to bring the opportunities and needs of the pervasive online world to companies which were not digital when they initially set up business. This is Uberall’s mission. 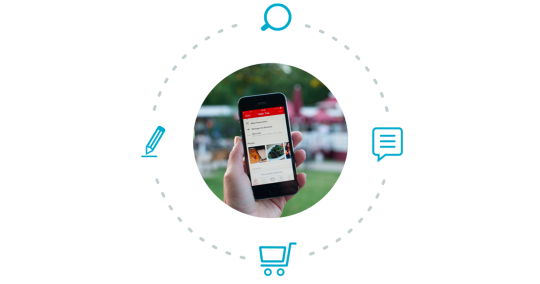 We have developed the Location Marketing Cloud to meet their needs with its four modules: Control Center, Listings, Locator and Engage. When used collectively, they allow businesses to cover the entire customer journey and bring prospective customers back into brick-and-mortar stores via cyberspace. and, obviously, the right address. That’s easily done if you have just one branch, but when you have ten, it’s a daunting task and 100 is virtually impossible. What happens if circumstances change? What do you do when there are special opening hours? And what about customers who don’t use Google but use other search engines or devices to look for information instead? We’ll provide you with the Uberall Control Center to prevent data management from spiraling out of control and circulating incorrect data. The Control Center enables you to enter all relevant location information just once. If you wish, you can mass upload data or use an interface for all locations at the same time. You then simply need to press a single button and the information is distributed in the Uberall Listings Network. Profiles in your name are verified and then protected against modification or overwritten with correct information if there are mistakes. From online reviews to offline purchase. On online reviews. We may have sought advice from friends in the past, but today we place our trust in reviews written by strangers. Yet these reviews are crucial in creating assurance, influencing purchasing decisions and cultivating your brand. And you can achieve all this without adding to your advertising budget as satisfied customers will bring in more patrons – virtually of their own accord if the product and service are right. However, you should also prepare yourself for the opposite case as negative reviews can destroy a brand more quickly than an assiduous competitor. It’s therefore best to keep an eye on your reviews at all times. You can do this for each location in all key networks at just one glance. 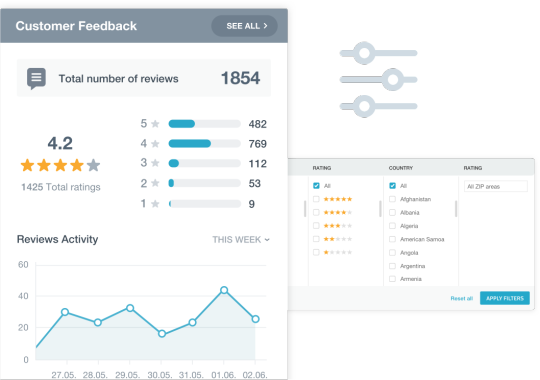 Uberall Engage is the perfect tool for your locations’ interactions: check-ins, reviews, photo uploads. Everything lands in a central inbox. This means you not only focus on your future customers, but also keep a permanent eye on all reviews and can even respond to them directly. This allows you to intervene if the brand experience hasn’t lived up to expectations. Consumers value problem solution strategies from providers and appreciate it when they are taken seriously. A little care and attention can transform a negative product experience into a positive recommendation in the end. Don’t leave your customers to find a solution unaided when you have precisely the right service or product. Create an online presence which looks just as professional as your locations and bring customers into your stores.